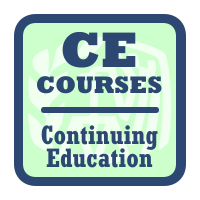 Lambers Adds New Six New CE Courses to Catalog – Lambers, Inc.
Lambers, Inc. heats up the summer season by adding 6 new Continuing Education courses to its ever growing catalog of courses. These six courses are under the Federal Tax Category and will be eligible for both CE and CPE Credits. These courses are all taught by Professor Arthur Reed, CPA, MBA, MST. Practice and Procedures: This 1 Credit Hour CE Course covers certain parts of Circular 230, Requirements for Enrolled Agents and clarifies “Practice vs Tax Preparation”. Duties, Restrictions, Sanctions and Penalties: This 3 Credit Hour Course covers accuracy, various tax codes from Circular 230, sanctions for violating regulations, penalties and disciplinary proceedings. Representation Before the IRS: This 1 Credit Hour Course covers IRS Publication 947, IRS Forms 2848, 8821, Central Authorization File, Unenrolled Preparers and Third Party Designees. Specific Types of Representation: This 1 Credit Hour Course covers the IRS Collection Process, Offer in Compromise, Federal Tax Liens and Levies, Trust Fund Penalties, Appeals Process, Innocent Spouse Rules, First Time Abatement as well as tax forms 594, 9465 and 656. Examinations and Appeals: This 1 credit hour course covers Examinations, Fraud, the Appeals Process and review Publications 3598 and 556. Completion of the Filing Process (Expanded): This 2 Credit Hour Course covers Accuracy, Electronic Filing, Advertising, Payments, Infractions and reviews IRS Publications 552, 4557, 4600, 1345, 3112, Forms 8879, 8453 and 5454. Lambers will be producing and updating additional courses during the summer of 2016 and beyond. Check back on the Lambers website for new course releases.